The TSILILI distillery, as a pioneer producer of tsipouro, “studies” and develops the art of tsipouro for over 20 years, creating distillates which glorify the grape and delight the senses. Initiated in the art of distillation from their grandfather and father, the brothers Makis and Kostas Tsililis founded the distillery in 1989, in Raxa Trikala, in the shadow of the sacred rocks of Meteora. From the beginning, their vision was to bring tsipouro dynamically back to the forefront and to highlight the rich tradition of their region, a place closely related to the art of grape distillation. Tsipouro Tsilili is the first tsipouro to be bottled in Thessaly and today it enjoys a leading position in the heart of consumers. In our days, the new generation of the family continues the qualitative development of the culture of distilling. Scientists and technicians of the Tsililis Company combine the latest technological developments with traditional qualitative methods in the modern facilities of the distillery in order to extract all aromas and flavors of the grape and to condense them into the aromatic, crystal clear Greek spirit. The raw material for Tsipouro Tsilili is grapes of high quality aromatic varieties grown in selected vineyards of the Thessalian land under controlled conditions with respect for people and the environment. 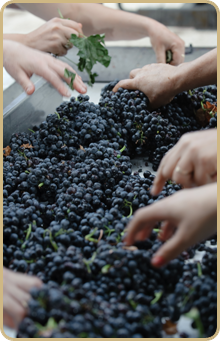 Healthy, well-ripened grapes are harvested by hand, destemmed and then vinified in inox tanks under fully controlled conditions (temperature and environment). After the end of fermentation, free-run wine is separately collected while pomace (the grape skins) is transported into inox tanks where they are stored under airtight conditions at low temperature until the distillation. The above factors make the raw material for tsipouro of high quality, aromatic and fresh, ready to be highlighted through distillation. 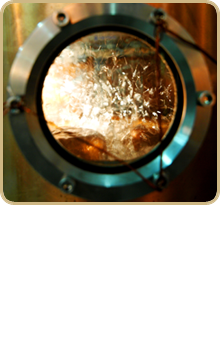 Distillation takes place in small, discontinuous, copper-inox pot stills with steam. Pomace is distilled slowly and patiently at controlled low temperatures through a system of multiple plates. Only the "heart of the distillate”, free of harmful substances and having the finest and cleanest aromas and a full bodied, velvety taste, is collected to become the Tsipouro Tsilili. The result is an aromatic, varietal, soft and elegant distillate free from harmful substances. In the case of tsipouro with anise, distillation is realized in the presence of Greek fennel which flavors the distillate with sweet spicy notes. After distillation, tsipouro and grape distillate need to be stabilized and matured for some time. This is accomplished through a maturation process either in stainless steel tanks or in casks of French and American oak. In stainless steel tanks, they preserve clarity in appearance and fresh, floral and fruity aromatic profile with elegant structure. 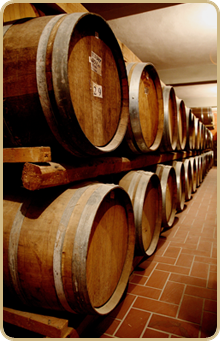 By ageing in oak casks, tsipouro and grape distillates acquire, over time, an amber color. In addition, the wood tannins add complexity and balance in the distillate. At the same time, they offer complexity with the predominant characteristics of spices, dried fruits, honey, tobacco and chocolate. The minimum required time of ageing in oak casks,as required by law, is 6 months while the Tsilili distillates age for at least 5-12 years under tranquil conditions. After distillation, the distillate is diluted with pure, clean water, that comes down from the regional mountains, reducing the alcoholic strength to 41% abv in order to express its aromas more vigorously. Finally, Tsilili distillates are bottled in elegant glass packaging that highlights the quality and nostalgic mood of the former with their high aesthetics.